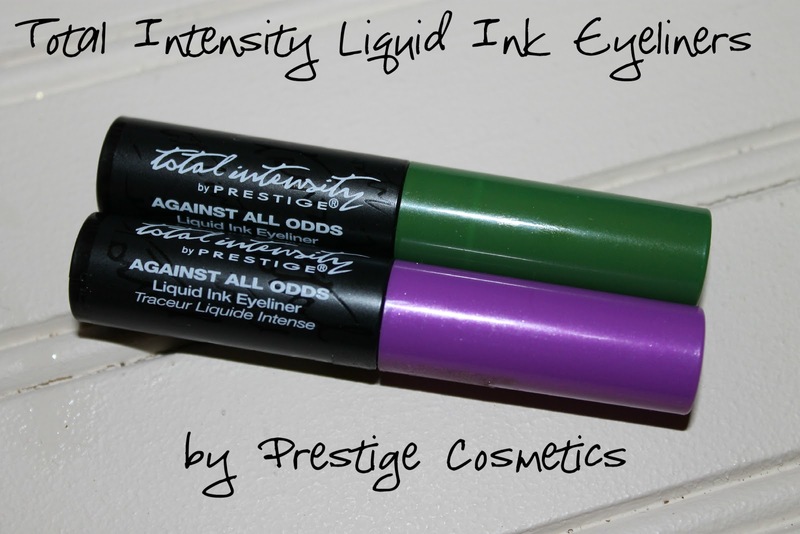 I was recently sent these two Total Intensity Liquid Ink Eyeliners from Prestige Cosmetics. These eyeliners have fine felt tip applicators and come in six different colours. These two wouldn't be my first choice but they gave me an idea of what the others are like. The green one in "Stalker" is matte and opaque and dries rather quickly. The purple one in "Around the World" is sheer and sparkly and takes a little longer to dry. These eyeliners will not smudge easily. Once they're on, they are staying there until you take it off with makeup remover. If the black and brown ones in this line are as good as these two, I'll definitely be on the lookout for them. I'm not sure if these are available in in stores outside of the US, but for a list of retail locations, click here. If you live in Canada, I've seen these for sale at Rexall drug stores. 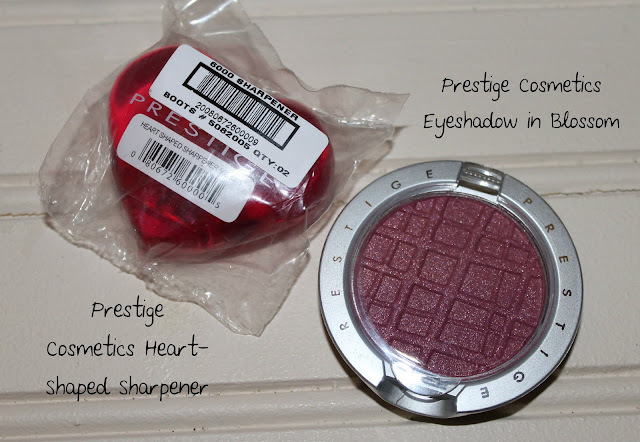 When contacted by Prestige Cosmetics, I asked if they'd like to include some products for a giveaway. I'll run this until 5 or so people enter and I'll use random.org to choose the winner. I've only tried Prestige's mascara and really enjoyed it. I feel like the brand isn't talked about as often as it should be. Oh! I am in need of a good sharpener and that one is super cute! Also, I love that green liner! I would love a chance to win. Thanks!! Stalker and Around the World are beautiful! Thank you for your entries! Random.org chose #3, so congrats, Rebecca!